The Famous Brandz Jade East Concentrate Water pipe is a compact yet powerful glass water pipe for smoking waxy oil concentrates. Part of Famous Brandz Cheech and Chong Up in Smoke line of water pipes, the Jade East pipe is crafted using the finest borosilicate glass, which delivers the essential flavor notes and aromas of your dry herb in smooth, tasty draws. At just 7.25 inches tall, the Famous Brandz Jade East concentrate pipe is travel-friendly and easy to carry around. 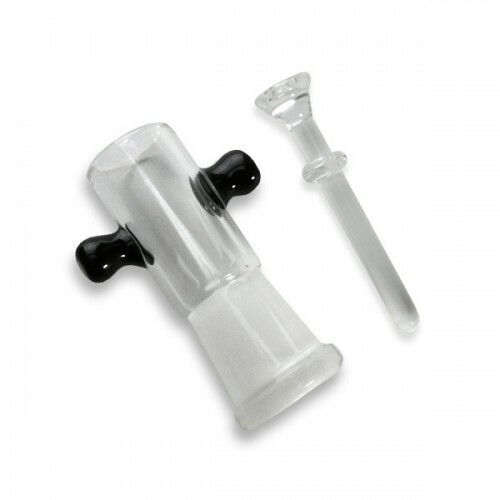 The showerhead downstem ensures optimal moisturizing of your smoke for truly comfortable hits that taste and smell great. Famous Brandz took the water filtration design that made bongs so popular and applied it to wax concentrates. 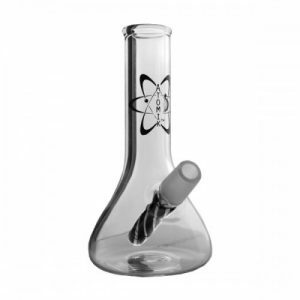 The Cheech and Chong Up in Smoke Jade East has the same beaker-style design of herb bongs but with a glass dome and nail for dabbing with your favorite waxy oils. Concentrate lovers who want something smoother than the harsh hits of a dab rig will appreciate the Jade East’s moisture-conditioned draws. Enjoy all the essential flavors, aromas, and effects of wax concentrates via comfortable, flavor-rich hits. The Jade East is not just a water pipe. It’s a work of art crafted from high grade borosilicate glass. Highly resistant to heat, the bowl and airpath will not adulterate the natural flavors of your waxy oils. Nor will they crack or yellow over time. The borosilicate maintains an elegant clean-and-clear look through the ages. The two-toned design is bold and sophisticated, with original Eastern-inspired artwork on the neck. 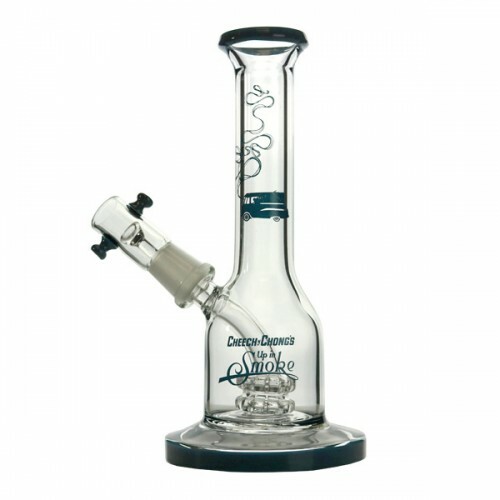 For those who want longevity in their glass water pipes, the Jade East’s 100% glass build is easy to clean. 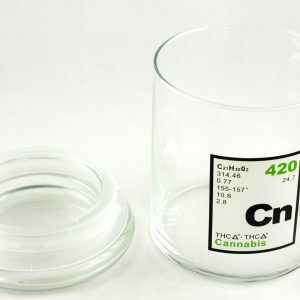 Just load the chamber with a bong-friendly cleaning solution, let it sit, then wash it out and wipe it down. The Jade East is made of the finest materials, offering quality you can feel. At just 7.25 inches tall, the Famous Brandz Jade East is one of the most travel-friendly glass water pipes in the world. Despite its compact size, it serves up surprisingly flavorful, comfortable draws. 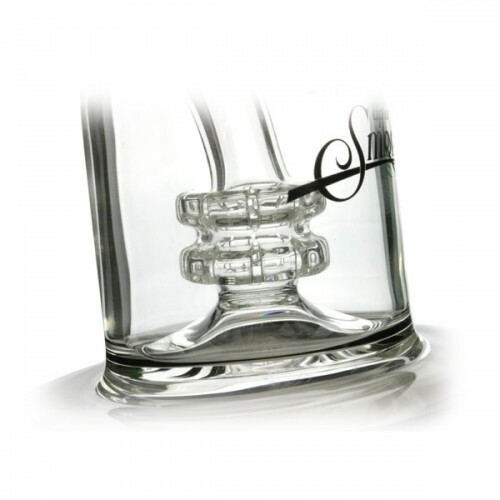 A showerhead downstem percolator cleanses and moisturizes each hit. The beaker-like water chamber is wide, providing adequate room for moisture-conditioning to take place, and the long, narrow neck gives smoke time to cool before it’s inhaled. 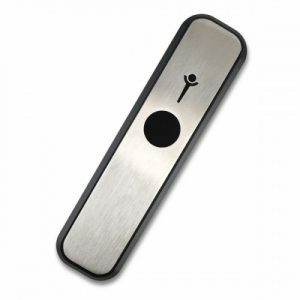 A flared mouthpiece delivers full-bodied hits with added airflow. A wide base keeps the Jade East grounded, preventing it from tipping. 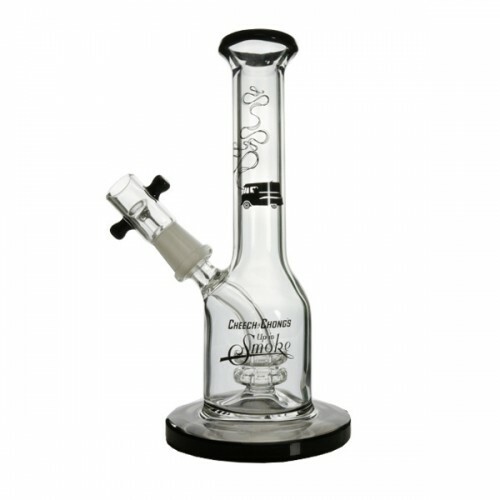 Enjoy everything that’s great about larger bongs in a compact but mighty glass water pipe for wax concentrates. Dimensions: 4 x 4 x 8.5 in.